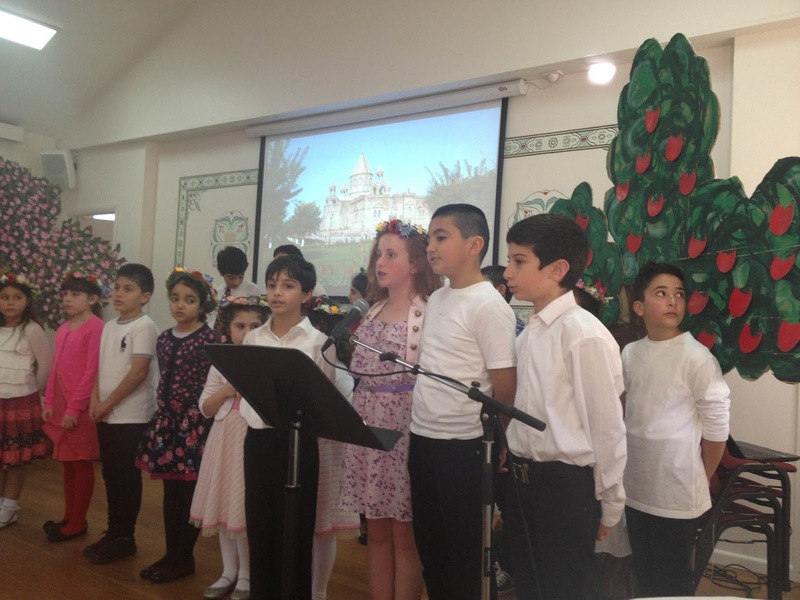 On Sunday, 21 July 2013 a group of students from AGBU Alexander Primary School took part in a joint community concert on the occasion of ‘Vartavar’. The event was organised by the coordinators of the Armenian Apostolic Church Sunday School. Our students performed together with a group of students from Galstaun College and the AGBU Alex Manougian Saturday School. Bishop Haigazoun Najarian, clergy, members of the church council and community at large. They were all delighted by the wonderful performance and the quality of the presentation put forward by all the students. Once again, students of Alexander school put on a magnificent display receiving the praise of His Grace and the audience. It was a great display of community spirit and cooperation for the benefit of the children. We would like to take this opportunity and thank the parents for their cooperation. Special thank you to Mrs Seta Keoshgerian for her assistance in preparing the students and supporting the organising committee.